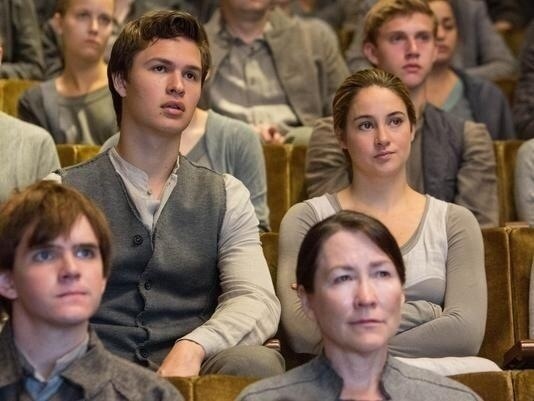 USA today released a brand new Divergent photo of Tris and Caleb at the Choosing Ceremony. 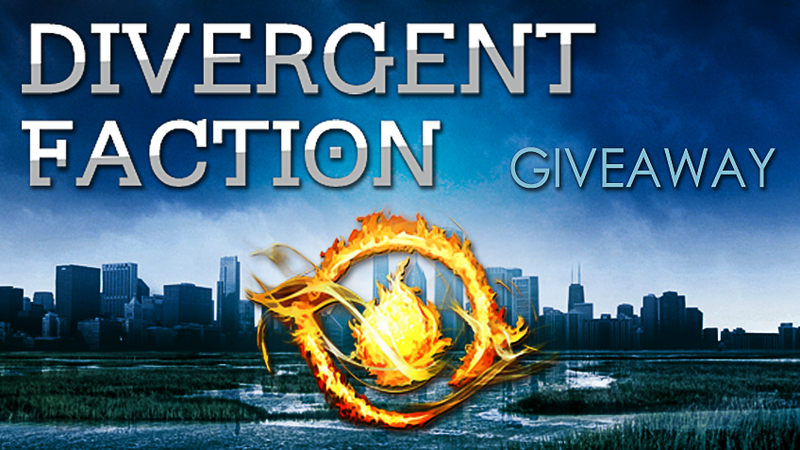 CHICAGO — The sacred Choosing Ceremony Day has arrived on the set of Divergent. One by one, the candidates step onto the marble altar in front of hundreds of citizens, standing before five ceramic bowls to make their fateful decision: Which of the five social factions will they join in the socially stratified world of this dystopian future? The heroine of Divergent, Tris (Shailene Woodley), steps cautiously onto the altar, stopping before the ceremonial bowls representing Abnegation (the selfless), Candor (the honest), Amity (the peaceful), Erudite (the intelligent) and Dauntless (the brave). She pauses for 15 seconds, deep in thought, before finally drawing a knife over her palm above her chosen bowl. “Dauntless,” a voice cries out. The Dauntless faction in the auditorium lets out a berserk cheer in the way that only the chosen protectors of a society can. But Tris still seems distracted as she makes her way over to her new family and sits quietly in the front row. It is, after all, a life-changing decision and a blood bond with her new faction, which requires Tris to leave her parents, who look crestfallen in the Abnegation section. But the scene, shot in Chicago’s modern Seventeenth Church of Christ, Scientist in front of hundreds of extras, has an even deeper meaning for Woodley, 21. Taking the role of Tris in the potential blockbuster franchise — Divergent is the first of three books from Veronica Roth and is on a pace to sell 4 million copies — was a step Woodley insists was taken with a great deal of care. Taking an on-set break on a steamy July afternoon (with the church’s air-conditioning system in disrepair), still wearing her Abnegation garb, Woodley recalls the thought process of joining Divergent (out March 21). Categories: Ansel Elgort, Caleb Prior, Divergent, Divergent Movie, Movie Stills, Shailene Woodley, Tris Prior | Tags: Ansel elgort, Caleb, Divergent, divergent movie, Divergent still, movie still, shailene woodley, Tris | Permalink. Allegiant is already available for pre-order and will be available in stores on October 22nd. 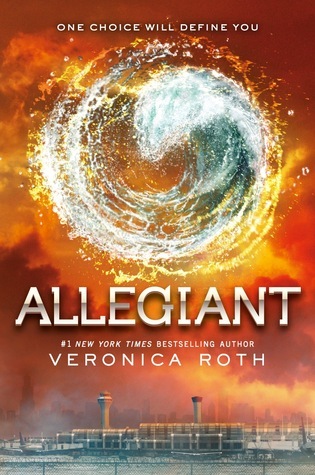 Categories: Allegiant | Tags: Allegiant, Veronica Roth | Permalink. 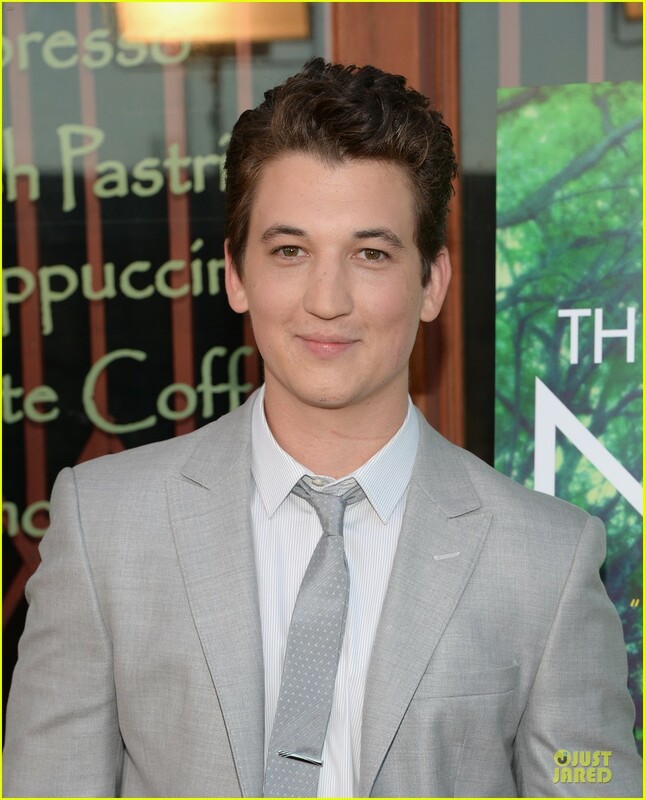 Shailene Woodley and Miles Teller attended a screening of The Spectacular Now on Tuesday in Los Angeles at the Vista Theatre. Check out the photos of Shailene and Miles below. They a;so posed for photos with their costar Brie Larson and director James Ponsoldt. 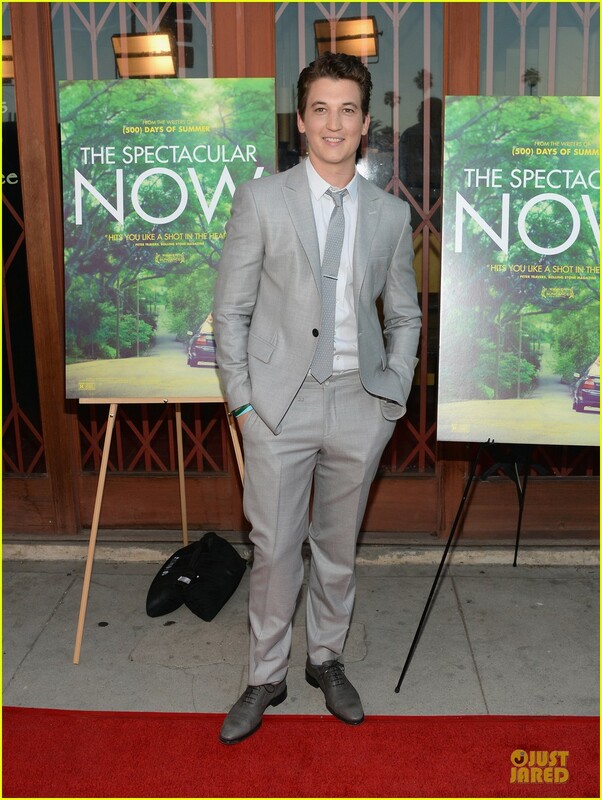 Categories: Miles Teller, Shailene Woodley | Tags: Miles Teller, shailene woodley, The Spectacular Now | Permalink. The World of Divergent: The Path to Allegiant is now up for pre-order at Amazon for FREE and it will be available on September 3rd. Don’t miss Divergent, soon to be a major motion picture in theaters March 2014! This book will hold us over until Allegiant is released on October 22nd. 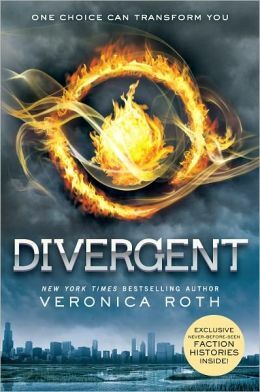 Categories: Allegiant, Divergent, veronica roth | Tags: Allegiant, Divergent, Veronica Roth, World of Divergent | Permalink. 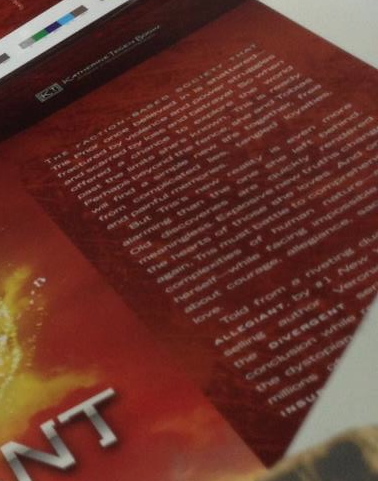 Allegiant dust jackets are now being printed. 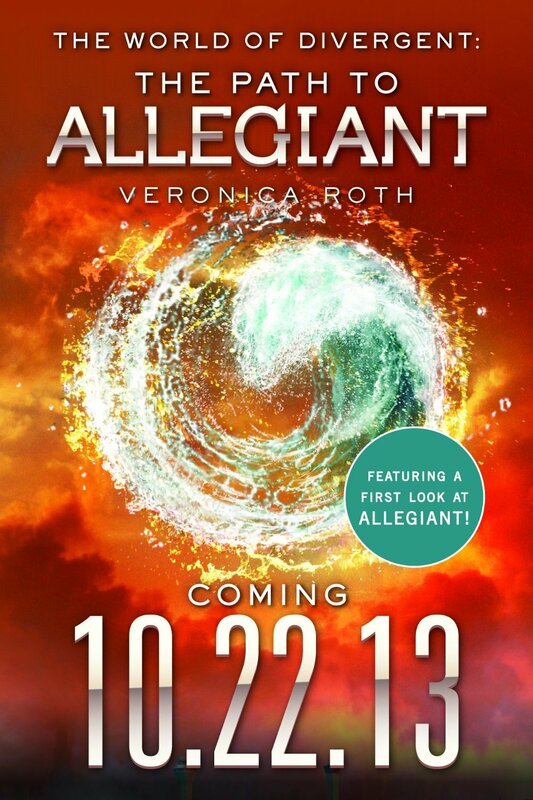 The final book in Veronica Roth’s Divergent trilogy hits stores on October 22nd. Katherine Tegan Books shared on a very awesome photo on facebook of the covers being folded and check for brightness. 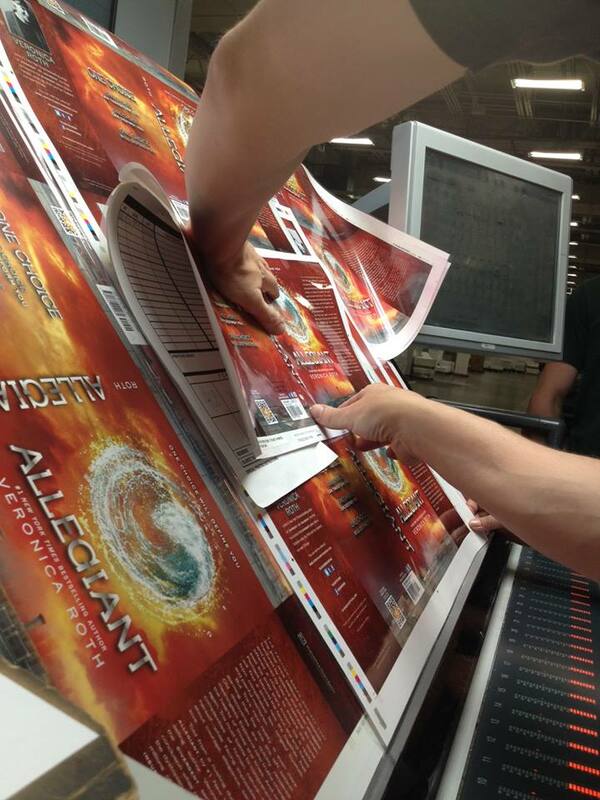 Caption: ALLEGIANT jackets on press! Folding and checking to see if the colors are bright enough for millions of copies! Can you tell what the synopsis is? The faction based society that Tris Prior once believed in, has shattered – fractured by violence and power struggles, and scarred by foes and betrayal. So when offered a chance to explore the world beyond the limits she’s known, Tris is ready. Perhaps, beyond the fence, she and Tobias will find a simple new life together. Free from complicated lies, tangled loyalties, and painful memories. But, Tris’ new reality is more alarming than the one she left behind. Old discoveries are quickly rendered meaningless. Explosive new truths change the hearts of those she loves. And again, Tris must battle to comprehend the complexities of human nature – and herself – while facing impossible [CUT OFF] (feats of?) courage, allegiance [CUT OFF] (and) love. Categories: Allegiant, veronica roth | Tags: Allegiant, Books, Divergent, Veronica Roth | Permalink. Shailene Woodley will be cutting her hair for her upcoming movie The Fault in Our Stars. In TFIOS she is playing Hazel Grace Lancaster alongside Ansel Elgort as Augustus Waters. TFIOS starts production in a few weeks. Shailene is expected to cut her hair in about 2 weeks. The length is not yet known. In Insurgent, Tris does a “big chop” on her hair. 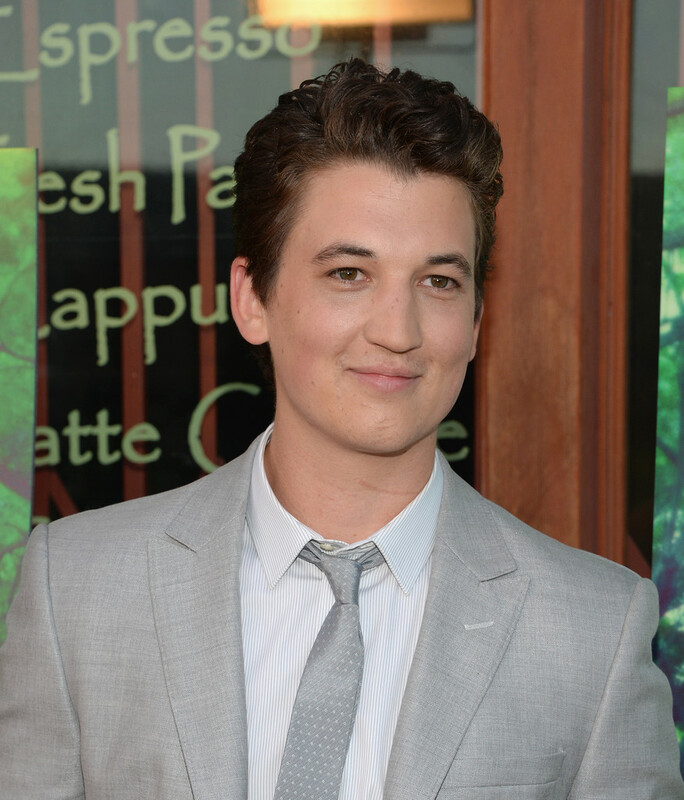 How will that work for the Insurgent film? I do not know, but I am sure the Summit Entertainment crew will come up with something genius. Remember guys it’s just hair. Categories: Shailene Woodley | Tags: shailene woodley, the fault in our stars | Permalink.